In tree., 0 - 3 feet above ground. Grasses, twigs, pine needles., Lined with fine grass, rootlets and hair. White-throated Sparrow: Medium-sized sparrow with rust-brown striped upperparts, conspicuous white throat, and plain gray underparts. Head has black-and-white striped crown and yellow spots between eyes and bill. Sexes are similar. Juvenile is duller. 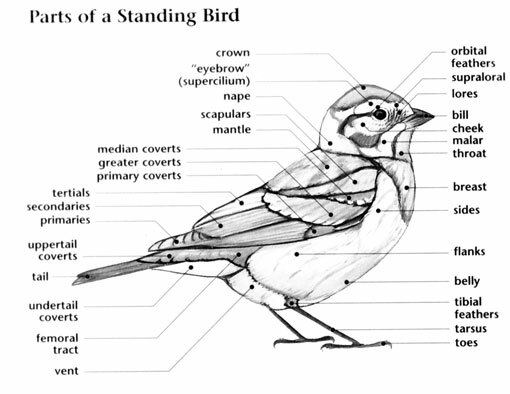 White-throated Sparrow: Three to six creamy white, blue, or green eggs with red brown markings are laid in a cup nest made of coarse grass, twigs, and pine needles, and lined with fine grass, rootlets, and deer hair. 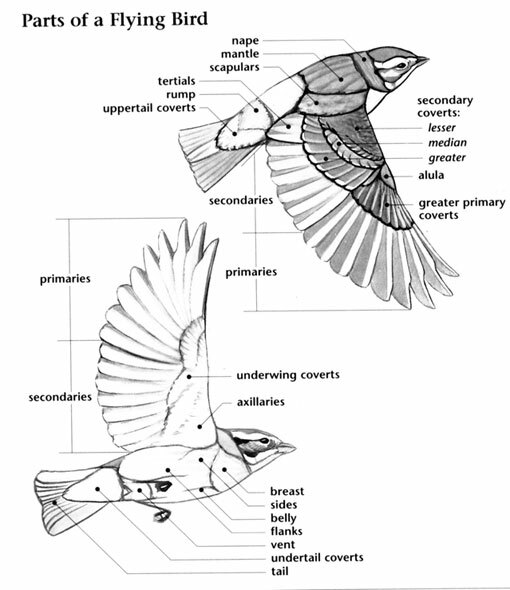 Incubation ranges from 11 to 14 days and is carried out by the female. White-throated Sparrow: Feeds on seeds and insects; scratches noisily when foraging, throwing aside leaf litter in search of food. Eats leaf buds of oak, maple, and crabapple trees in early spring. White-throated Sparrow: Song is series of haunting, clear, sweet, and wavering whistled notes, often translated as "poor Sam Peabody, Peabody, Peabody." Call is a drawled, lisping "tseep." 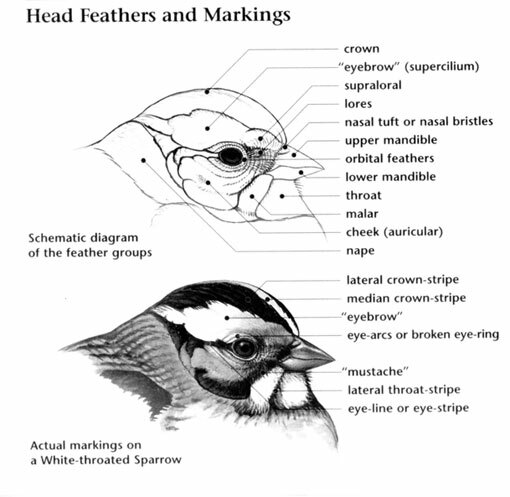 White-throated Sparrow: White-crowned Sparrow has black-and-white striped crown, pink bill, and lacks white throat patch and yellow spots between eyes and bill.